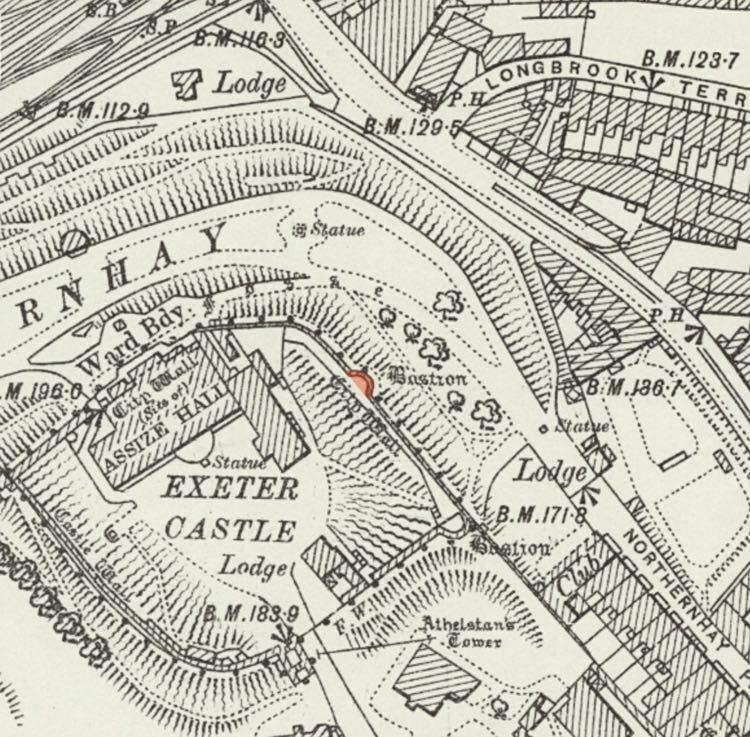 After William I took the city in 1068, after a siege lasting seventeen days, he ordered Baldwin, the Sheriff of Devon to build a castle at Exeter, on the high ground of Rougemont. Forty eight houses were demolished to make way for it. 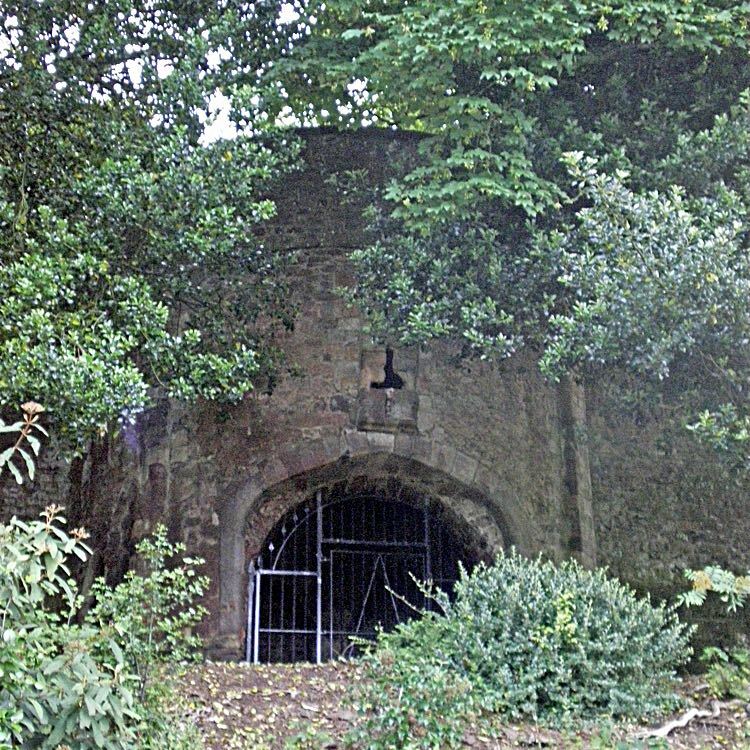 The gatehouse of the castle was the first to be built and is the earliest Norman structure in the country. Athelstan's Tower was largely rebuilt at this time. The danger from invasion by the Danes was finally ended with Norman rule, but the instability of the kingdom continued through the middle ages, as Norman families built castles to protect their lands, and cities kept their walls in good repair to repel rebellion. King John's Tower dates from the thirteenth century, constructed on the north east side of the castle wall, overlooking New North Road, and was part of the continual work to keep the defences up to date. 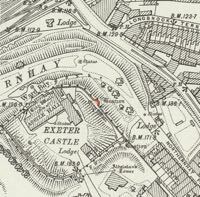 There was also a second entrance to the castle close to this tower, with its own drawbridge that was removed by 1751. With the 'gentrification' of the old castle and the construction of the law courts in 1773 the need for strong fortifications had passed. 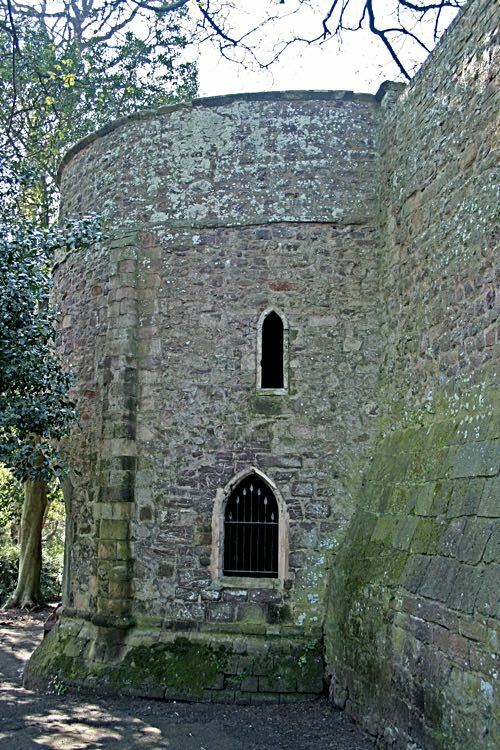 In the late eighteenth century, King John's Tower was converted into a gazebo. 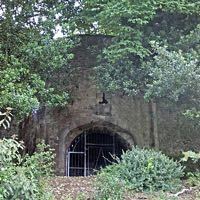 The council have since fitted iron gates to the entrance. The front of King John's Tower. Photo Sean Creech..
King John's Tower from the side.